Because of ethical conflicts, I rarely review books. Occasionally I make an exception when a book that can help the publishing industry in some way comes along. This is one of those times. As you will see, authors interested in publishing have needed the latest information possible on the best marketing device for success ever for a long time. Ta da! Now comes Dr. Judith Briles’ How to Create a $1,000,000 Speech, the kind of advice that comes from experience! PUBLISHER: Mile High Press, LTD.
My first serious introduction to self-publishing was at a SPAN conference in Atlanta (Small Publishers of North America); it was there I was introduced to a very fat volume on self-publishing by Marilyn Ross that included the idea that real publishing includes marketing. She also applauded speaking as the best wayto market a book—read that as the most assured path to success. Since then, I have recommended a couple of super speakers’ books to my clients and in the appendixes of my #HowToDoItFrugally Series of books for writers and, I’ve pointed to the writing (and speaking) career of the late Dan Poynter as an example of how well speaking benefits a writing career—and vice versa. 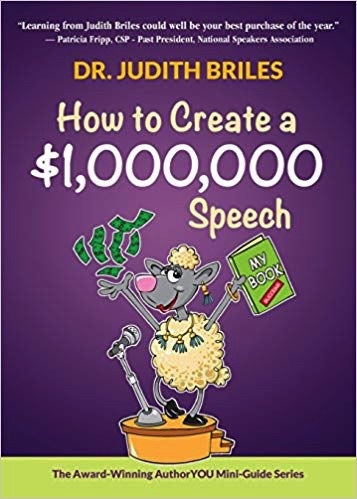 Now, years later, Dr. Judith Briles, adds her How to Create a $,000,000 Speech to the battery of my choice for “Best Books on Speaking.” And trust me, it is not a long list! Though the title may seem as if it is promising more than speaking can deliver, it is not. I have seen speaking make many authors a ton of money over the years and build writing careers as it does so. One side-benefit that always appealed to me: Travel. Have I convinced you of the possibilities? Then the next step is to study up. And may I suggest you start with Briles’ book? For the fun of it. For the enthusiasm and inspiration between those royal purple covers. And for the all-in-one-place advice you’ll get on the process. It boils down to experience. And, of course, Judith’s near-unique ability to tap that experience and organize it into a book you won’t want to put down or relegate to a bookshelf. Not when you can keep it near your computer to nudge you toward your speaking goal a little each day. 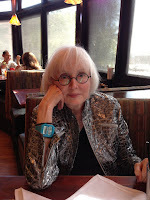 books in her HowToDoItFrugally Series of books for writers have won multiple awards. That series includes both the first and second editions of The Frugal Book Promoterand The Frugal Editorwon awards from USA Book News, Readers’ Views Literary Award, the marketing award from Next Generation Indie Books and others including the coveted Irwin award. 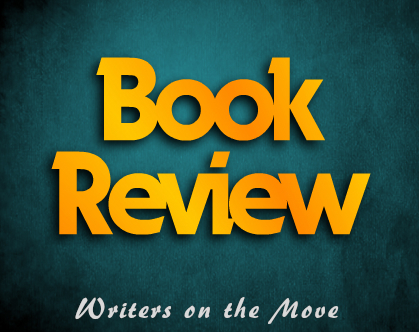 How To Get Great Book Reviews Frugally and Ethicallyis her newest how-to book and her newest poetry book is Imperfect Echoes. The author loves to travel. She has visited nearly ninety countries and has studied writing at Cambridge University in the United Kingdom; Herzen University in St. Petersburg, Russia; and Charles University, Prague, as well as USC, her alma mater. She admits to carrying a pen and journal wherever she goes. Her website iswww.howtodoitfrugally.com.